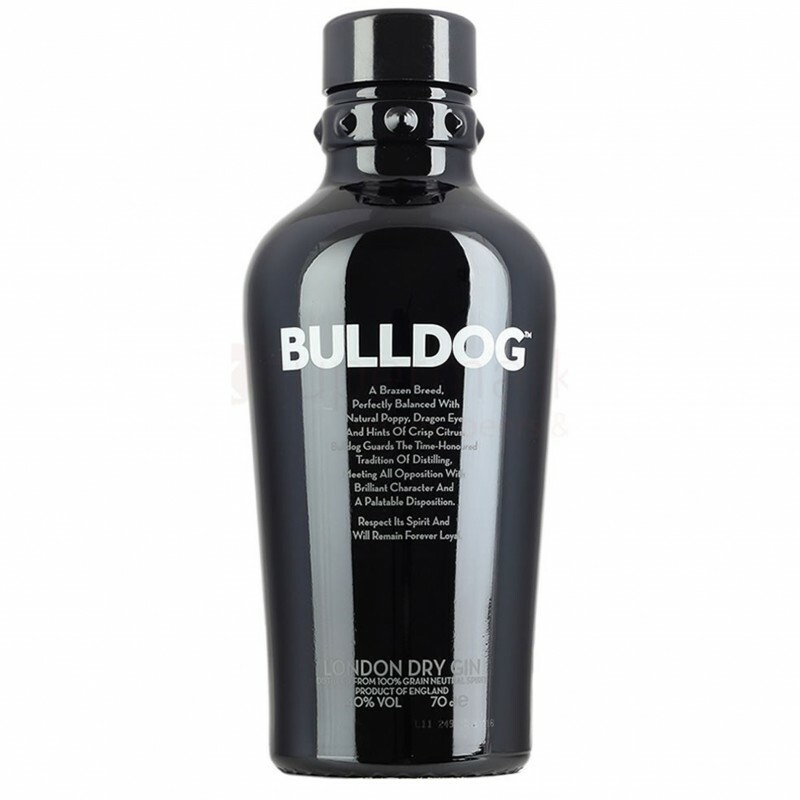 Bulldog is a true London Dry Gin distilled in England, launched on the market in 2006. Undergoes four distillations made following the traditional method, and is the first gin to combine ingredients so exotic as a poppy wild, dragon eye and lotus leaves. An ultra-refined gin, the first to incorporate exotic ingredients such as poppy seeds, natural flavour of herbs), the dragon's eye (fruit of chinese origin, similar to the lychee and used in antiquity as a stimulant) and lotus leaves, with a long list of plants from four continents (juniper, lemon, almond, cassia, lavender, licorice, angelica, coriander ...). This is a gin very delicate, less dry than most Gins and has been cited as the gin more can be mixed for cocktails.